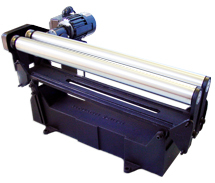 Orienting Rolls (also known as Orienting Rollers) effectively orient and convey parts in a quiet and gentle non-vibratory manner. Increased spacing between parts is often achieved, lending itself to other applications where parts are inspected or gauged. Each roller is precision ground and hard chrome plated. Optional coatings can be applied for special applications such as handling food or pharmaceutical items. 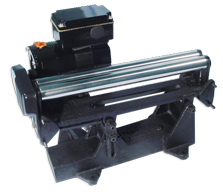 Abrasion-resistant coatings may also be applied to the rollers. 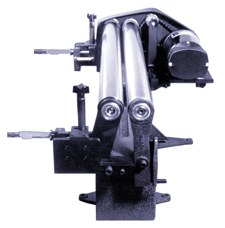 Orienting Rolls can be equipped with micrometer adjusters that permit fast and accurate changeover to the next part. Consult the factory about including them in your application. View the ADI orienting roll dimensions and weights.